Halcyon House Opens its Doors this week - Quintessential Australian Hotel with world Class Design and Style. Halcyon House, one of Australia’s most unique beachside hotels, opens today. 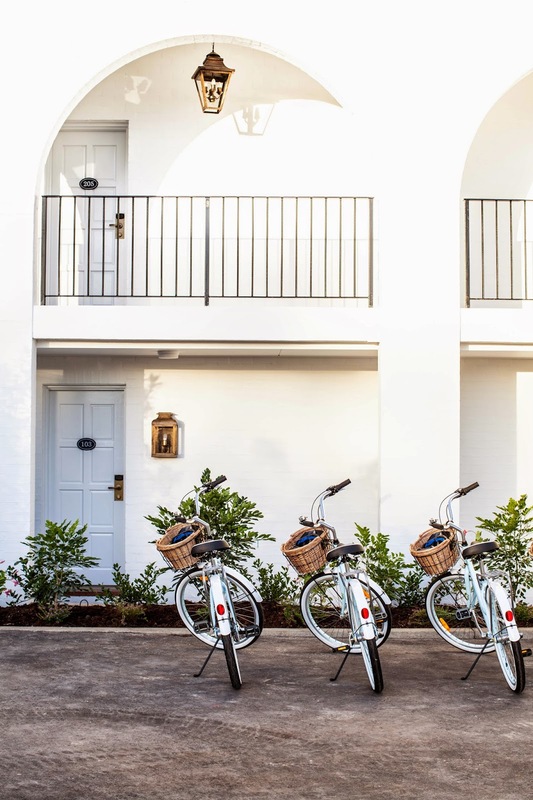 A former surfer motel turned luxury hotel, situated at one of the country’s best surf breaks and in one of its most idyllic beachfront towns – Cabarita Beach, Northern New South Wales. The 21 room boutique hotel is located just 15 minutes south of the Gold Coast Airport and 30 minutes north from Byron Bay in an extraordinary region that remains one of the country’s best kept secrets. Having spent a few months living and working in Murwillumbah in my university days, and many lazy afternoon swims at Cabarita beach after work, this area of NSW holds a special place in my heart too. This also happens to be the location for my very next eat read love blogger retreat happening in July. Halcyon House’s owners, Brisbane-based sisters Siobhan and Elisha Bickle and their husbands Adam Flaskas and Dave Wadley, fell in love with the site and bought it in 2011. This is the first hotel development for the two couples who spearheaded the highly successful up market and award winning ‘Bunk’ backpackers hostel and the Victoria Park function centre in inner city Brisbane. The positioning of a boutique hotel in a quiet costal surfing village has not been tried in Australia before. 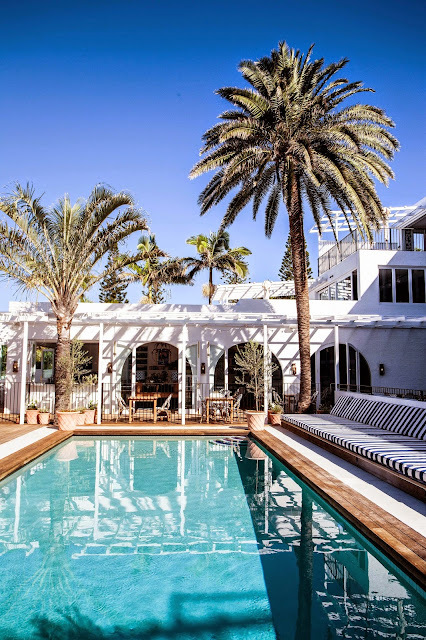 “We believe Halcyon House will hit the right note – luxurious with a low key Australian feel, whimsical rather than formal and a relaxing retreat in a location, otherwise known to those in the know, as a ‘little pocket of paradise’.’’ said Siobhan Bickle. 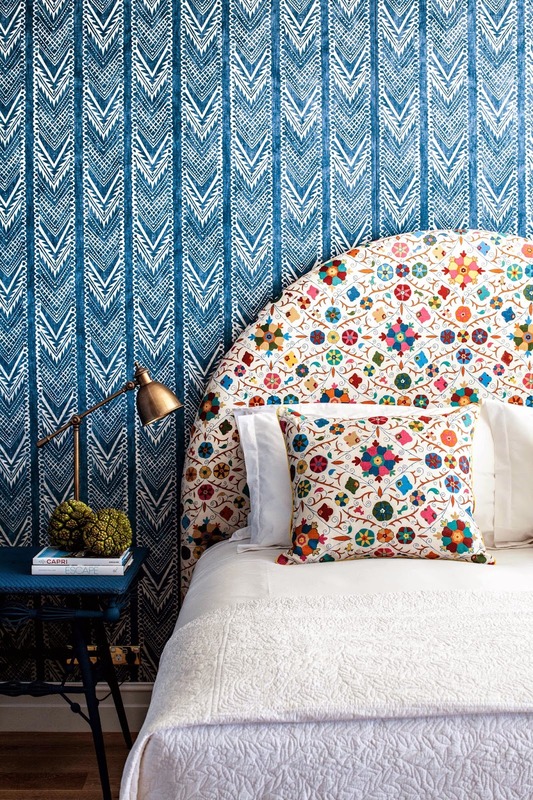 At the heart of its embrace is a hotel with rich fabric-upholstered walls, handpicked antique treasures and original art collected from around the world, combined with an Australian soul. While Cabarita Beach is a well know surfing hot spot and lovely local village, you may not want to leave your room. Each of Halcyon House’s suites has its own individual aesthetic lovingly crafted by the amazing Anna Spiro, the hotel’s interior designer. Anna, along with the owners of the hotel, have ‘curated’ a collection of antiques, furniture and art they hope will grow and stay within the walls of Halcyon House for years to come. Many of the vintage pieces as well as furnishings, designers and artists, such as John Derian sofas, Madeline Weinrib rugs and drawings by Wayne Pate, were sourced on a trip to America. A team of bespoke craftsmen from Northern New South Wales and Brisbane, including lampshade makers and furniture restorers, were also engaged to bring to life many of the vintage pieces. These pieces sit alongside Australian treasures such as antique seascapes collected from around the country creating a décor that looks and feels as if it has been collected over a long period of time, as though it has always existed. The exquisite fabrics chosen for the walls of the rooms came from England. As did the upholsterers, who travelled to Australia to complete the job, thus is the level of attention to detail that has gone into every inch of Halcyon House. Award-winning architect, Virginia Kerridge, designed the hotel. Virginia recently won the 2013 RAIA – Interior Architecture Award. Virginia’s elegant design includes echoes of the past with the pool and Spanish-style arches retained from The Hideaway, the popular motel that stood on the site from the 1960s. The hotel’s General Manager, Mauro De Riso, comes with enviable hospitality experience, having worked at JK Place, Capri for several years and together with his team will deliver impeccable, intuitive service, creating extraordinary guest experiences for the discerning traveller. Paper Daisy, Halcyon House’s poolside restaurant, was named after the distinctive wildflower on Norrie’s Headland. Ben Devlin, who was awarded the Brisbane Good Food Guide young chef of the year in 2014, is the Head Chef. I cannot wait to experience this amazing restaurant for the very next instalment of the eat read love pop up dinner series. Hotel services will be of a world class standard with some unique experiences on offer such as surfing lessons with one of the best surfers in the world, Joel Parkinson, champagne dinners and demonstration-style cooking classes, and day spa treatments. Room rates will start from: $550 for a King suite to $1500 for a two bedroom suite.